The department consists of a team of the Special Educational Needs Coordinator (SENCo), a Higher Level Teaching Assistant (HLTA) and 9 teaching assistants. Pupils are supported within the classroom but some pupils may be withdrawn from class to participate in the Self Esteem or Rainbows programme. The SEN department runs a selection of different support clubs, each catering to the collective needs of all of our students. Learning Express room 1 Colouring, model making, collages. Learning Express room 1 The Japanese art of folding paper into decorative shapes and figures. Learning Express room 1 Colouring, shading, painting, model making, collages, craft activities. Sue Williams, our Key Learning Centre Manager, comes into school on a regular basis to support lower school pupils with social and emotional skills. Coffee Mornings – Everybody welcome! We regularly host Coffee Mornings which are extremely well attended by the parents of our pupils who need that extra support. 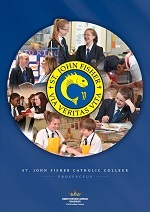 We also invite the parents of Year 5 and 6 pupils from our feeder Catholic Primary Schools. Alongside this you will also find SEN Coordinators from our feeder Catholic Primary Schools and representatives from outside agencies attending these Coffee Mornings to help provide parents with the information and support they require. Information about any upcoming Coffee mornings or other SEN events will be displayed on our websites front-page and published in the schools regular newsletters.